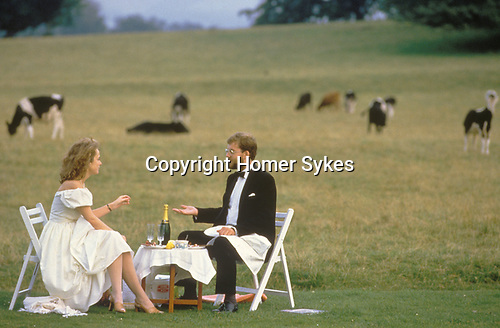 On the ha-ha lawn and in formal evening attire a couple of opera lovers enjoy an alfresco smoked salmon supper and a still unopened bottle of Champagne. They are discussing the merits so far of Mozart’s Idomeneo. Glyndebourne Festival Opera.